A great day at the Walker. 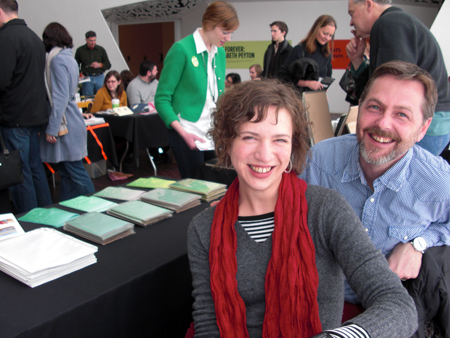 Above: Elisabeth and I, kindly photographed by our table mates, during the Multiples Mall: A Bookish Fair at the Walker Art Center yesterday (about 12:36PM). We want to thank the Walker, MN Artists, and all of our friends and students who stopped by and gave a cheer to two rather awkward but excited participants. 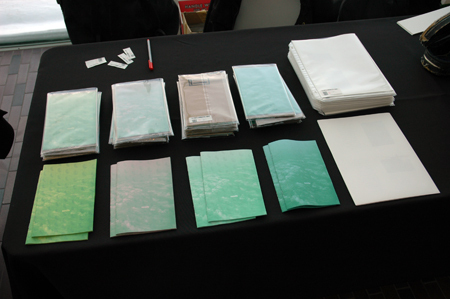 Above: Our wee table of Opolis and a_city_a_cloud. We were humbled to be a small part of such an expansive group of people and work. We came away with many trades and even purchased some irresistible objects, so look for a posting soon on those. Below: Some unexpected and welcome gifts, cherry garcia. 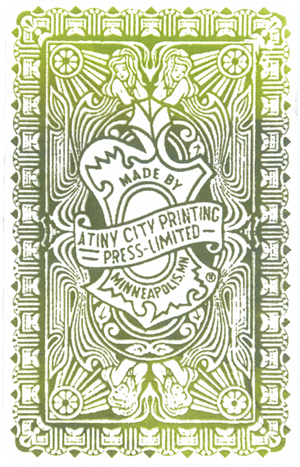 Above: From Chris Burns at A Tiny City, the first cards! Above: From Hans Beard and Lars Beardsson. You had a great booth and it was really nice to see you now that 2D is done! By the way, ‘Opolis’ is one of my most prized books I’ve collected! Thanks for the flattering post! P.S. Don’t worry, you’re not the viking! 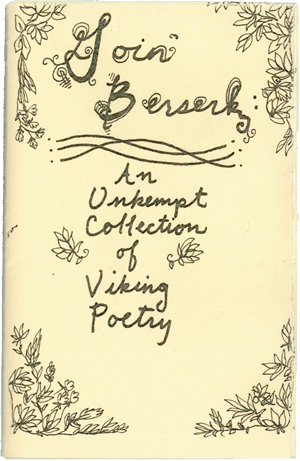 This entry was posted by Erik Brandt on Sunday, February 22nd, 2009 at 1:00 PM	and is filed under Aktuell, Education, Geotypografika, Globalization, Graphic Design, International, Minneapolis, News Links, Typografika, Typography.